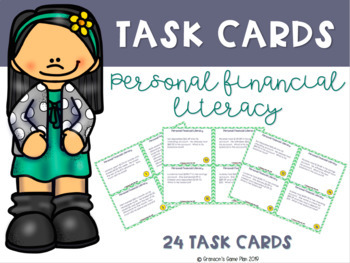 This product includes 24 task cards that cover different concepts within personal financial literacy. 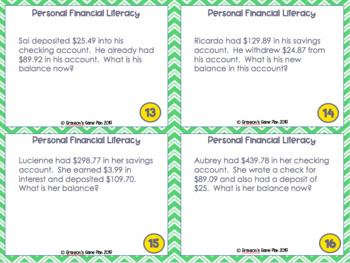 6 cards cover sharing, saving and spending, 6 cards include saving and calculating interest, 6 cards calculate the balance after a deposit or a withdrawal, and the last 6 cover calculating profits. 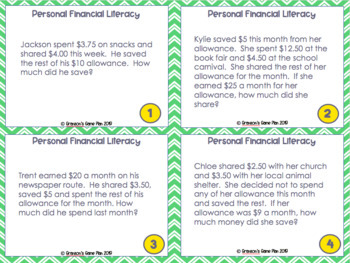 These are story based problems to test their understanding of the concepts taught.